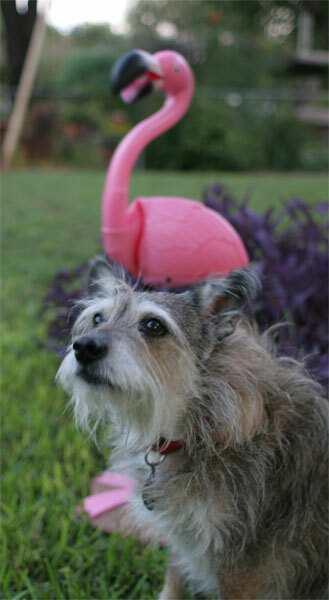 Sam, my sister Laura’s dog, stands guard in front of a belated birthday gift from my dad: a talking, singing and, yes, dancing lawn flamingo. I’ll explain why many in my family will think this is hilarious in an upcoming post. Is there a time limit……………….